Since the weather has finally perked up and it's less than a month until I go on holiday myself (eep! ), I've been a little obsessed with watching people's holiday vlogs on YouTube. I've honestly watched far too many to remember, so I thought I'd just share my favourite of the month, by What Olivia Did. The video includes daily #ootd's, sight-seeing and the most mouth-watering food (warning: do NOT watch if you are immensely hungry and have no food in the house. Not a good combo). 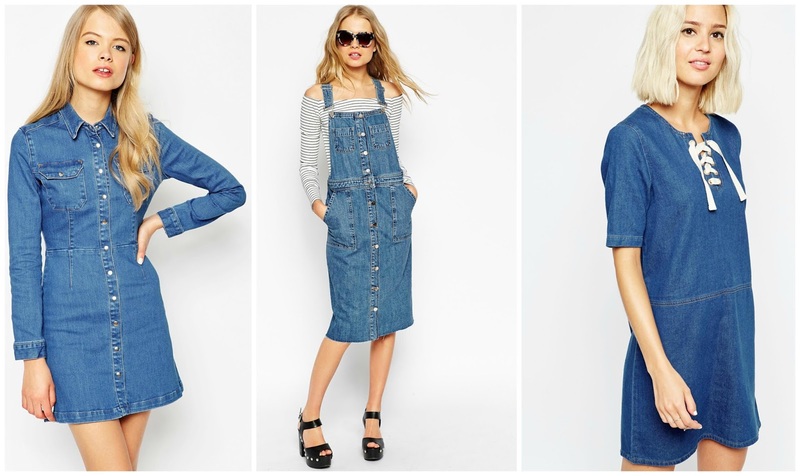 It's no surprise that denim dresses are one of my favourites from not only last month, but possibly the entire year. I only have a measly two denim dresses in my wardrobe *cry* but my aim for July is to at least double that number! Above are three of my favourites on the high street, but please do let me know if you've found any other stunners! I'm unsure whether it's due to the lively, summery packaging that Benefit never seems to fail on, but I have just been LOVING Benefit makeup in June! Particularly the High Beam, and the Sugarbomb blush.... and the mascara... well, all of it, really. Definitely invest in some if you get the chance! Sun beam is a great bronzer for when you have a tan, too, and you can get some £££ off in duty free. Need I say more? If you follow me on Instagram or Twitter, you'll know that I am head over heels in love with these shoes! ASOS, you've done me well. I originally wanted some shoes pretty similar to these, but more of a matte neon pink with pom-poms on the end (you all know which ones I mean), but they sold out in my size so I decided to opt for these (although straight after purchasing these the others came back in stock...). I think it may have been a blessing in disguise though as these are just so beautiful. And perfect for summer! 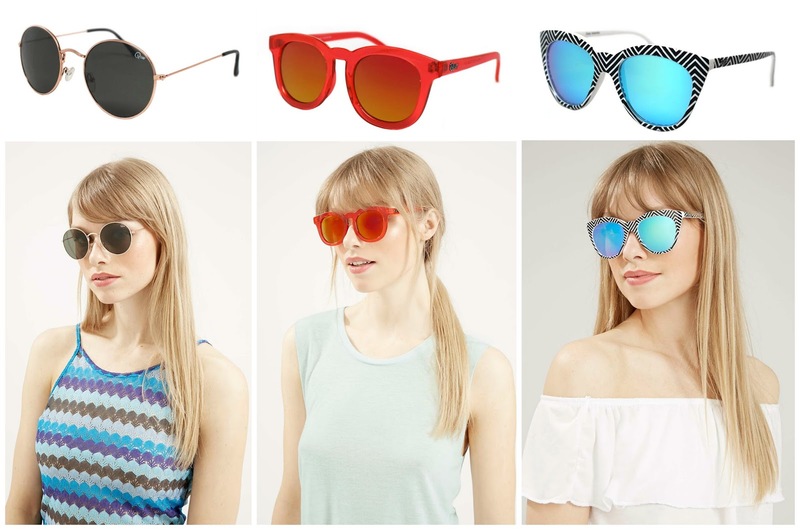 The sunglasses brand that has taken the UK by storm and is on everyones lips. If you'd asked me last year about spending over £10 on sunglasses, I probably would have laughed in your face. However 2015 seems to have brought out a side of me that I never knew I had: sunglasses obsessive. If you're like me and like something a little different that attracts some 'ooo's and 'ah's, these are for you. So those are my June Favourites. Let me know anything you've loved in June or if you have any recommendations of things to try out in July. Have a great week guys and gals (and please don't melt in this weather). 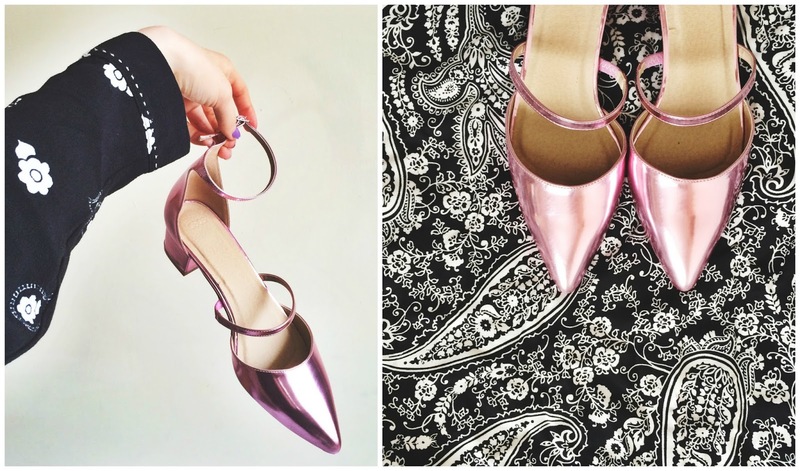 Those holograpic shoes are amazing - I am in love! Statement shoes are absolutely where it's at.